Ski Run is located just off of Highway 6 on the far north side of the Mountain House Base Area. You’re just a four-minute walk away from the lifts, and a short shuttle ride from River Run Village and Lakeside Village. This complex features an indoor pool and a hot tub with large windows that provide a scenic view. In under a minute you can walk east to Pizza 101 and Big Country BBQ. A four to five-minute walk will bring you to Snake River Saloon and Gateway Mountain Lodge that houses Haywood Cafe, Serenity Spa & Salon and a small grocery and liquor store. Located north of the Mountain House Base Area, you’re a four-minute walk away from the lifts via the pedestrian bridge. You’re a short shuttle ride away from both River Run Village and Lakeside Village where you can enjoy skiing, snowboarding, tubing, mountain biking, hiking, ice skating, hockey, canoeing, paddleboating and gondola rides. The bike path runs south of Gateway Mountain Lodge past Snake River Village and leads guests throughout the entire resort and Summit County. 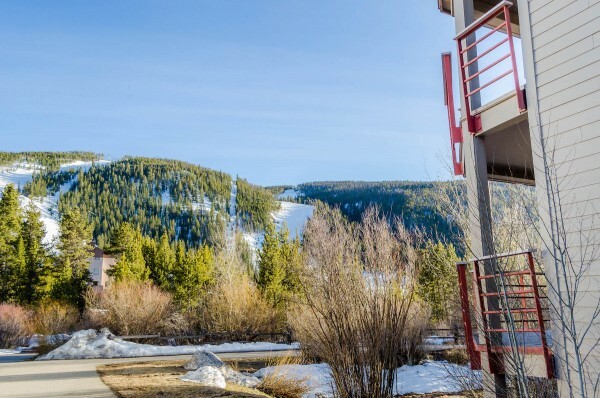 Easy access to Highway 6 that can lead you to the restaurants in Mountain View Plaza or to Dillon, Silverthorne and Breckenridge.